Alec Baldwin occured in a New York hospital after a caller believed to be his 14-year-old daughter, Ireland, summoned 911 to the 30 Rock Emmy winner's West Side Manhattan apartment, WNBC News reported early Thursday morning. The caller was concerned for Baldwin's health because the actor, 51, was "unresponsive," according to some reports. When police and medics arrived at Baldwin's Central Park West apartment, he agreed to be taken to the hospital. Baldwin was examined at Lenox Hill Hospital, where he remained for more than an hour before being released, said the TV report, which describes the status of his condition as unclear. Reps for Baldwin and the hospital could not be reached for comment. 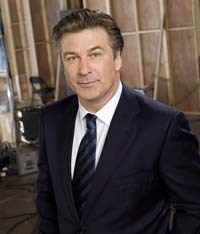 Besides the Emmy-winning NBC best comedy series, Baldwin also stars in the big-screen romantic comedy It's Complicated with Meryl Streep and Steve Martin, with whom he is due to co-host the Oscars on March 7.